We fixed a ton of bugs in this version ! Also, we have made ​​changes in design and added a auto-updater! Enjoy! Edge pack.We are going to talk about that later. 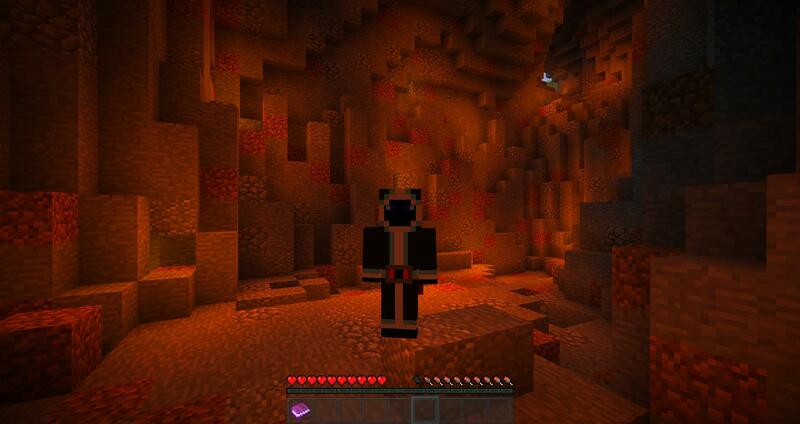 The darkness is back in the nether. The witch can now hold potions in his hands. A ton of bugs have been destroyed. We fixed a ton of bugs in this version ! 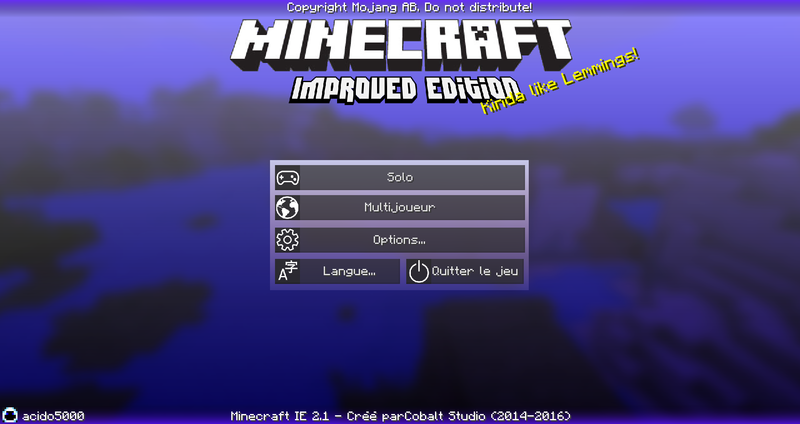 A new version of your mod is out: the VERSION 2.1! After months of development, this version is a update breakthrough! In that update, we changes so many things! We have a lot of new features! 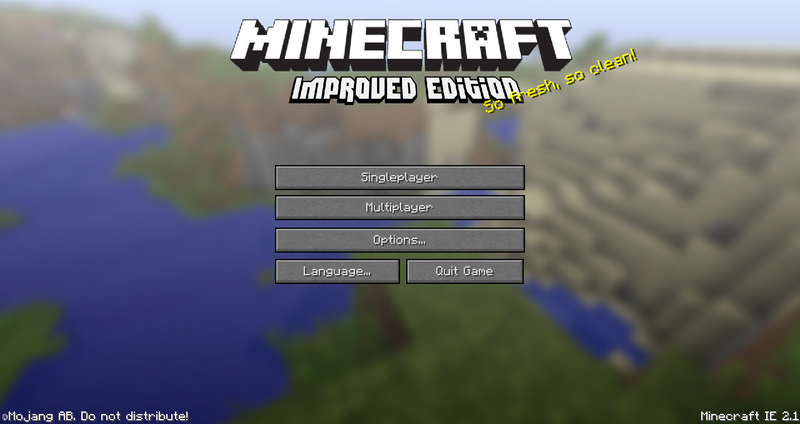 We fixed not less than fifty bugs and we did a major overhaul of the mod. -A complete overhaul of the themes available in Minecraft IE! See how beautiful they are! -The quick drawings, better known under the name of quicks sketchs, are now in HD and requires 75% less calldraw. -The icons in the options has new appropriate icons! -Now the chat options have been moved to a side menu! 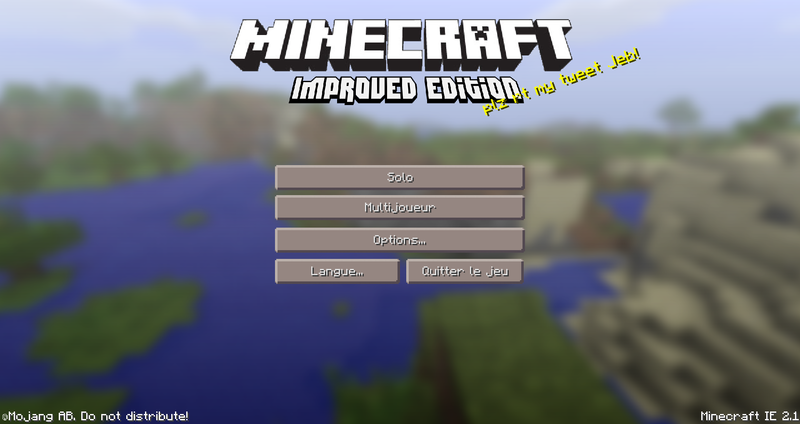 significant change in the code of Minecraft IE! The particles are consumes less ram. Reducing the size of the player in the top left corner. Fixed a bug that did not display the name of the potion when it is level II. 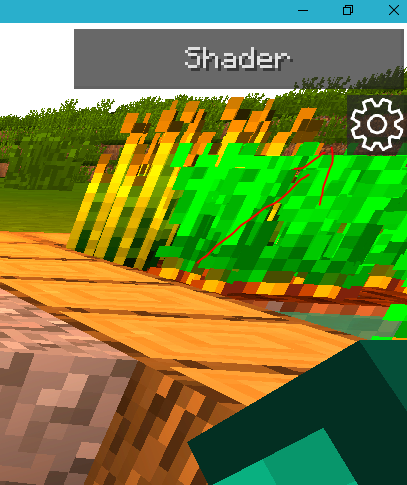 Already, a new visible as soon as you start your part: the place where your arm your character in 1st person has moved, The arm move lime MCPE! For all stream lovers: the bug with Twitch is fixed! 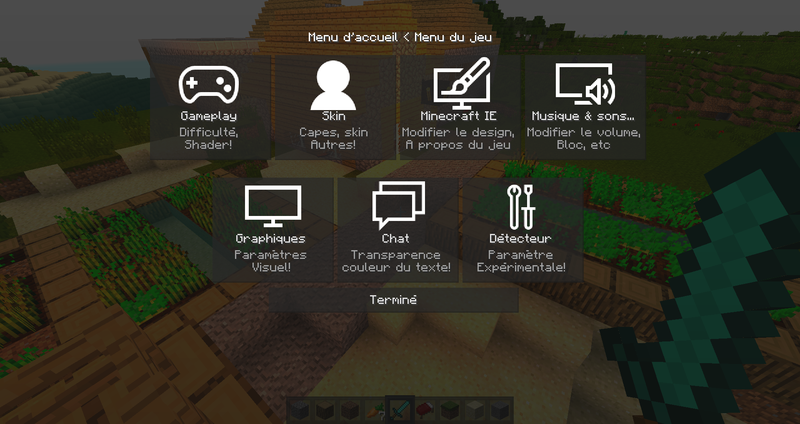 The buttons in the Options & Minecraft IE are replaced by checkboxes, are they not the prettiest? A new Edition of your mod is out: the VERSION 2.1.1 FOR 1.9! -Anything you like in Minecraft IE 2.1 is available ! 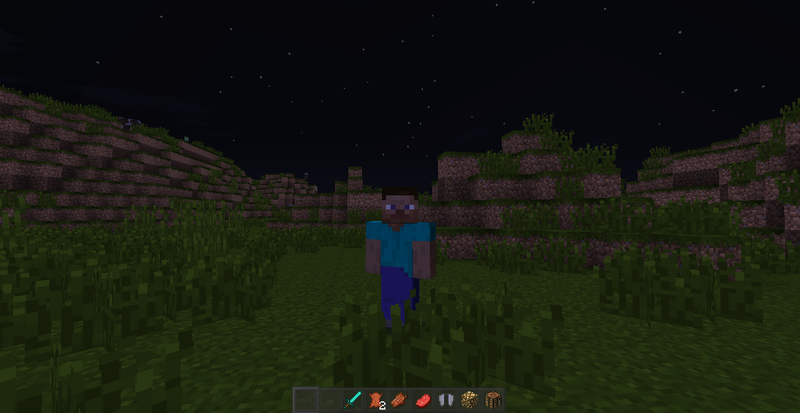 Includes customizable cloaks! 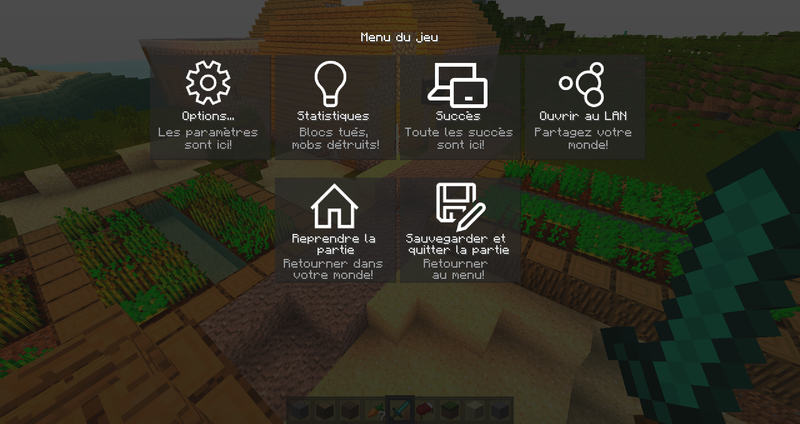 The Animation, which is like the name says, adding full of new animations and transition in the interfaces! 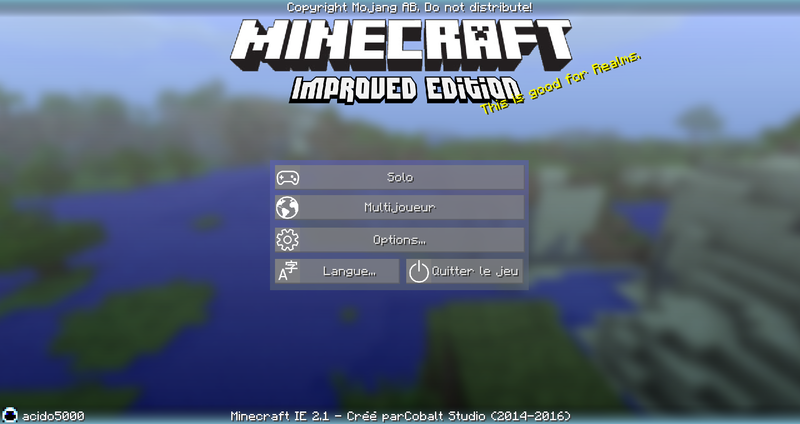 The HD Minecraft IE resource pack is fully functional still buggy! Please note that we are still working on the 1.8.8 version.! Version 2.1.1 for 1.8.8 will arrive in a few days! 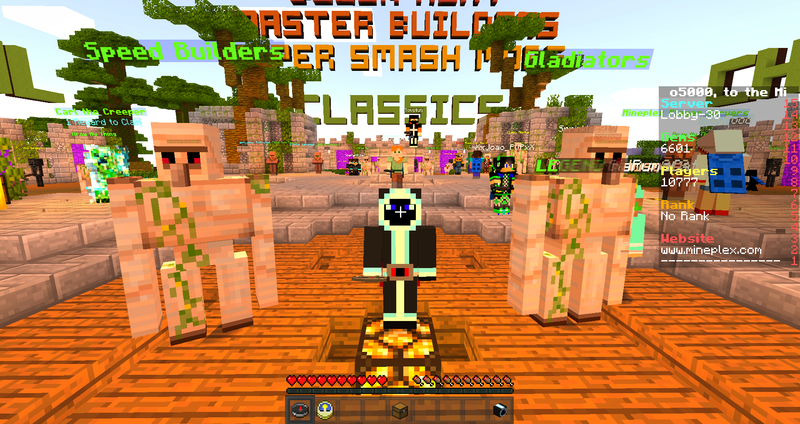 why dont i have my custom skin in minecraft IE for 1.9? Yes, this is a bug and we are working to fix that in the next update. 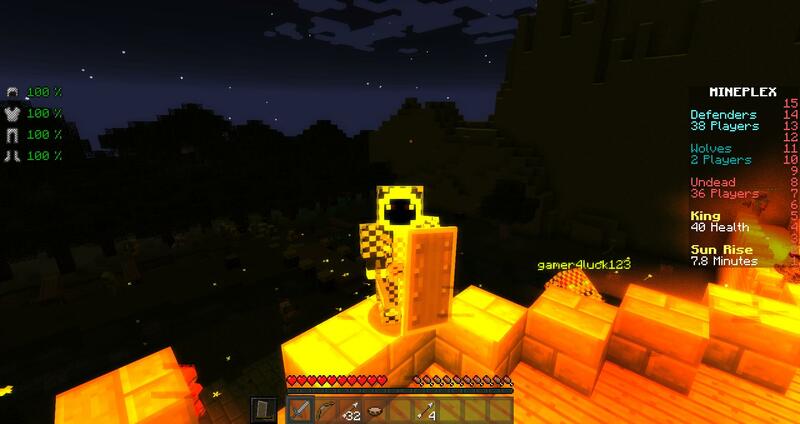 Also, this bug just happened in single player, custom skin work in multiplayer! 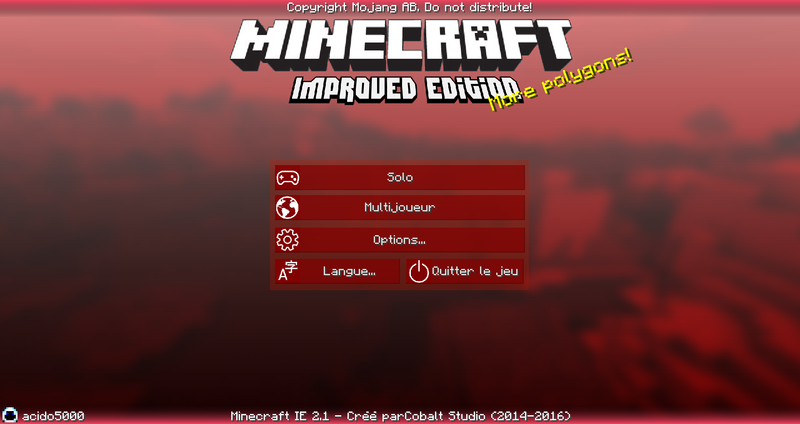 A new version of your mod is out: the VERSION 2.1.2 (1.9 Edition)! [Skin] Skins doen't work in singleplayer. [Visual glitch]The Sword animation is yellow. [Gui glitch]The update ui is downscale. 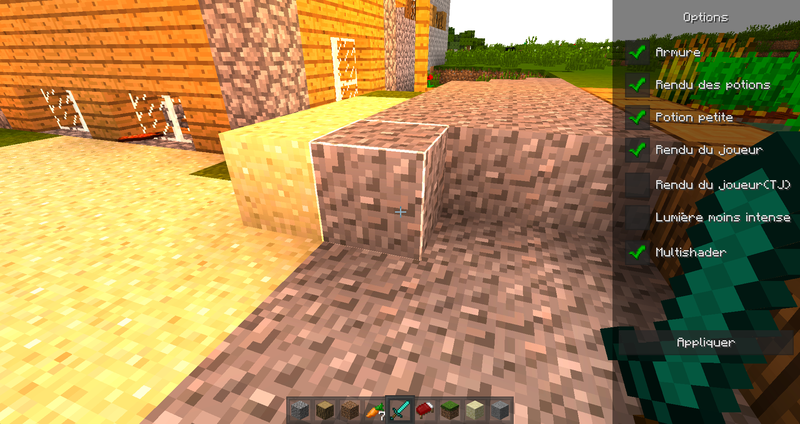 Please note that we are still working on the 1.8.8 version.! Version 2.1.2 for 1.8.8 will arrive in a few days! 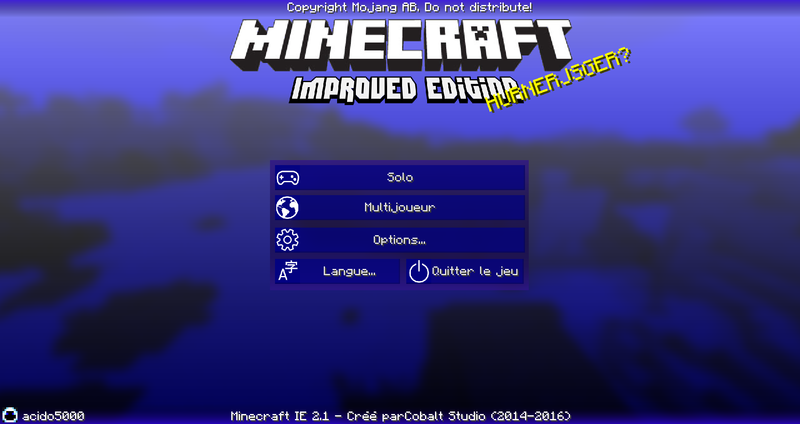 A new version of your mod is out: the VERSION 2.1.3 (1.9 Edition)! 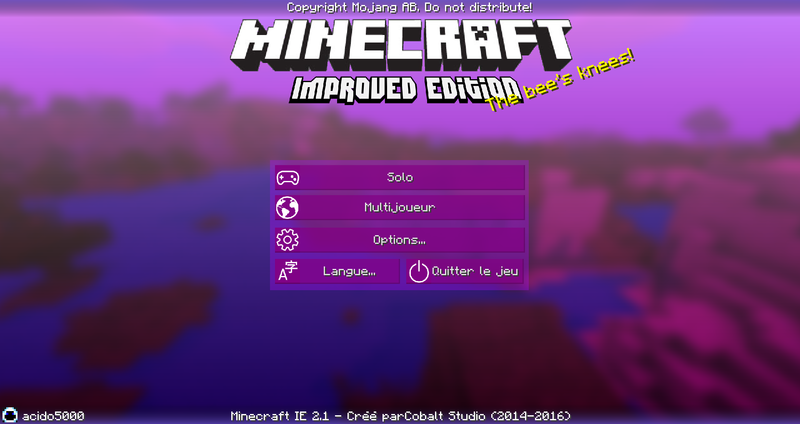 I love this mod, but is it possible to install it on MultiMC? When will this find my friends game?! He's connected to the WiFi! Oh shoot! theres a maı̸̸̸̸̸̸̸̸̸̸̸̸̸̸̸̸̸̸̨̨̨̨̨̨rk on your screen!